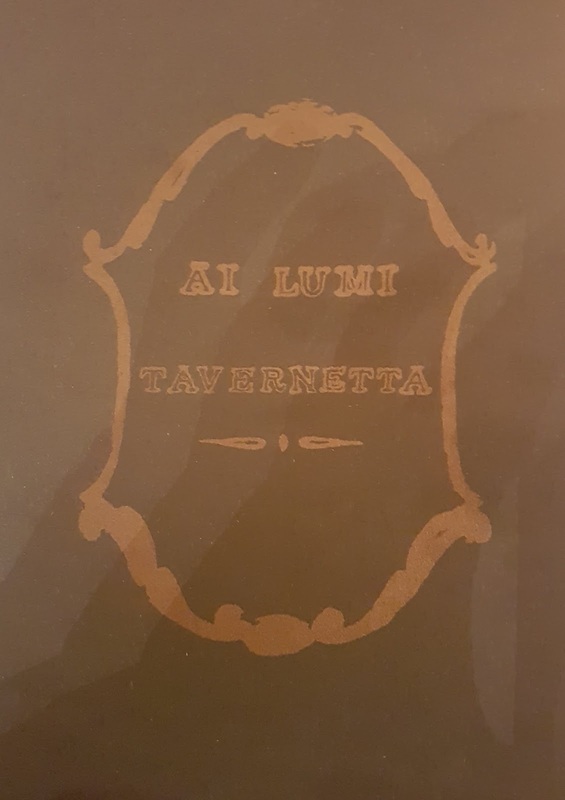 If in Trapani or surrounds and in need of a quality, local meal, fish lover or not, Ai Lumi is A DEFINITE MUST! 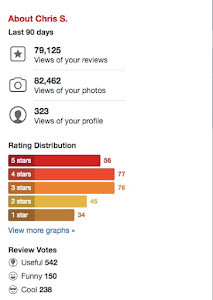 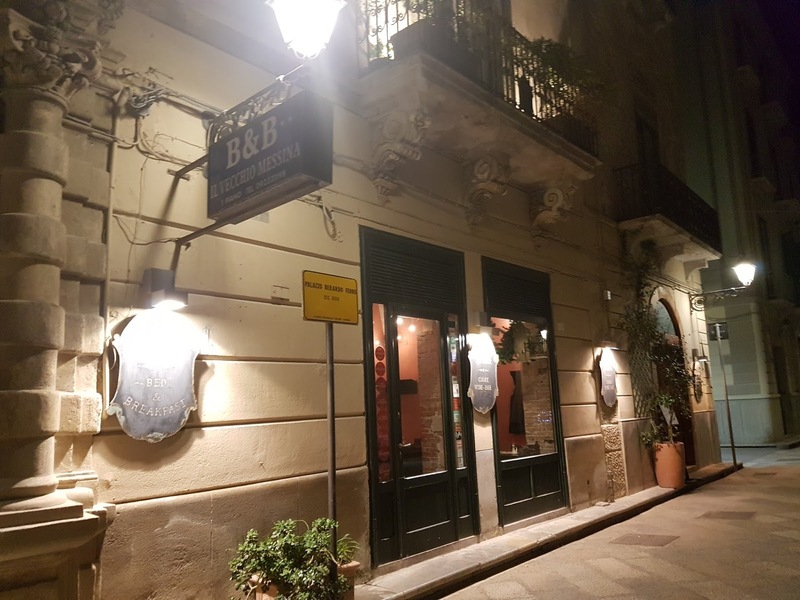 Sorry, no "Michelin Star" at Ai Lumi, which translates "to the lights", as the only other review on Yelp claimed, but they have been in the "Michelin Guide" for several years, an indicator of being special in any case. The four of us, my wife, her Sicilian cousins Salvatore and Fabio, and I, ate very well ... three courses, including two bottles of wine and an after dinner drink, at just €37.50 a head ... HOOAH! 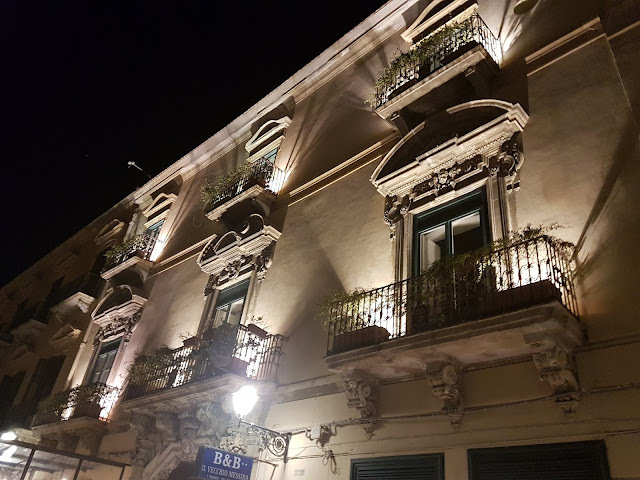 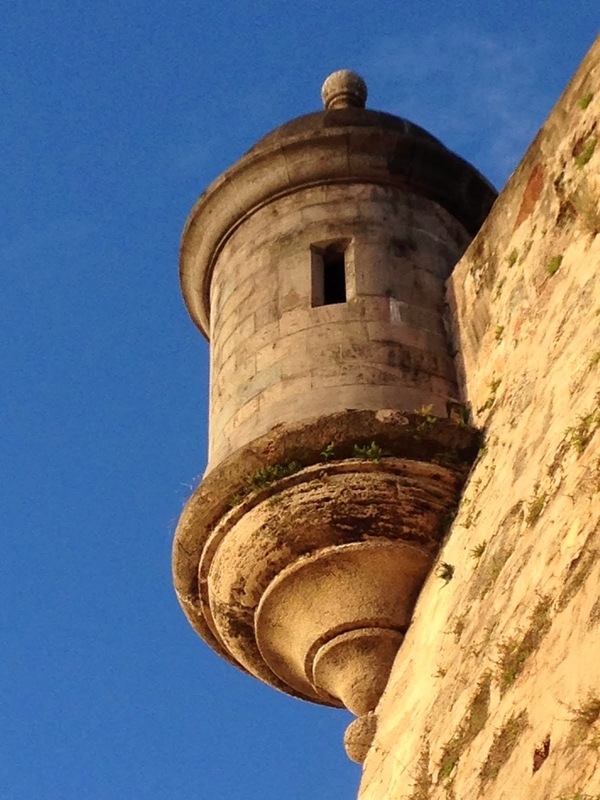 Ai Lumi is actually a 3-Star B&B in an 18th Century palazzo (palace) on the main drag in Trapani's historical center (centro storico) just steps from the Duomo (cathedral) di San Lorenzo, which dates back to 1102 (with updates done in 1280, 1602, and 1740), and the Mediterranean Sea. 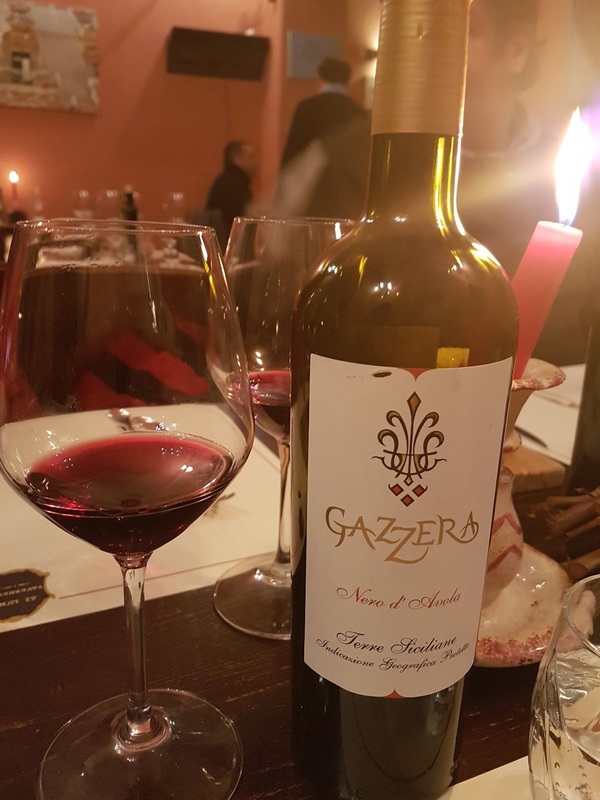 First the fresh, warm, local bread with sesame seeds came on an old wooden cutting board, then the first bottle of local Nero d' Avola (Gazzera - €17) and our antipasti (appetizers). Salvatore had the Calamaretti Fritti (tiny octopus, deep fried - €9), my wife and Fabio had the Tagliere di Salumi e Formaggi (sliced salami, cured meats and cheeses - €8), and I the Insalata Caprese (fresh mozzarella, sliced tomatoes and basil - €8). 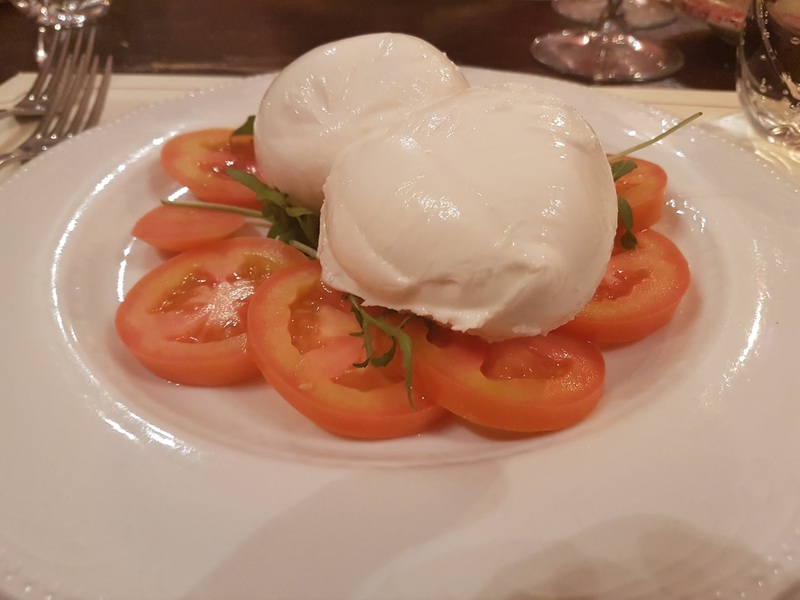 The calamaretti looked good, the salami and cheese platters were enormous and delightful, and my Caprese divine. 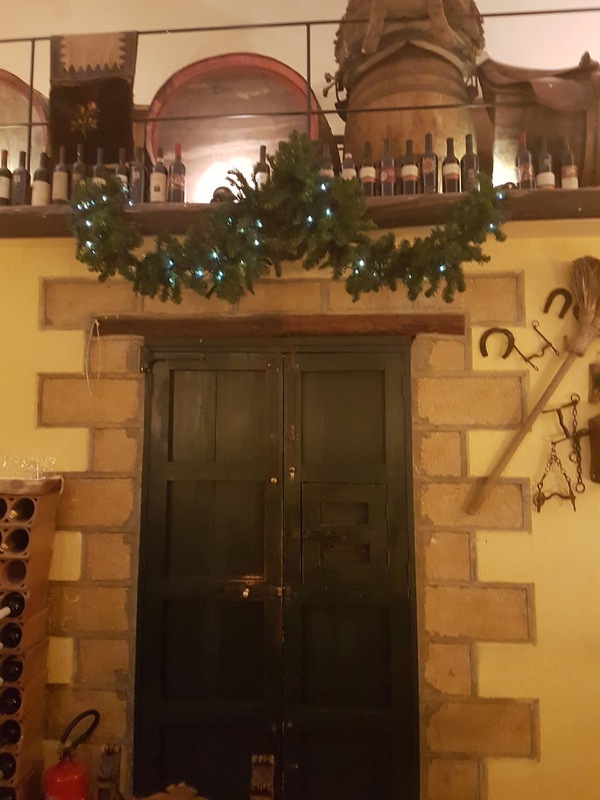 Off to a great start! 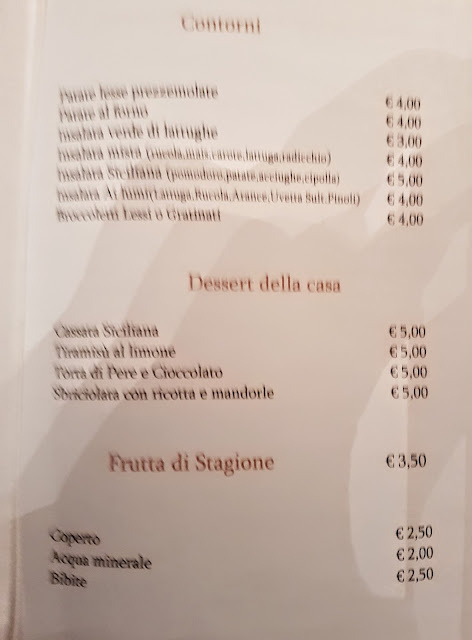 Now it was time for our main courses. 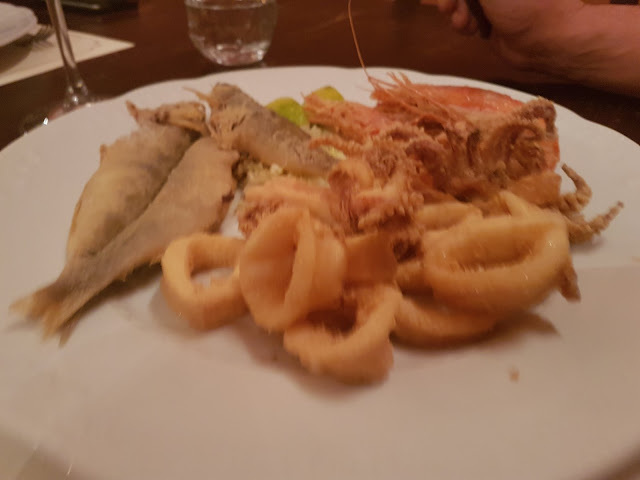 Being a fisherman, Salvatore went with the Frittura di Pescatore (Fried Seafood - €12), three small local battered and fried fish, several rings of calamari, and a couple gamberetti (very large shrimp that look like mini-lobsters). 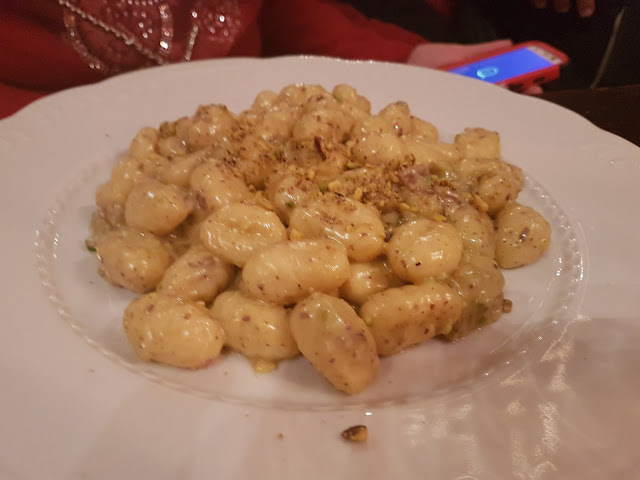 My wife's choice was the Gnocchi in Crema di Pistacchio (all of our main courses were €12), a generous portion of perfectly cooked potato dumplings coated, not soaking, in a mild, creamy, savory crushed pistachio and pana (heavy cream) sauce. 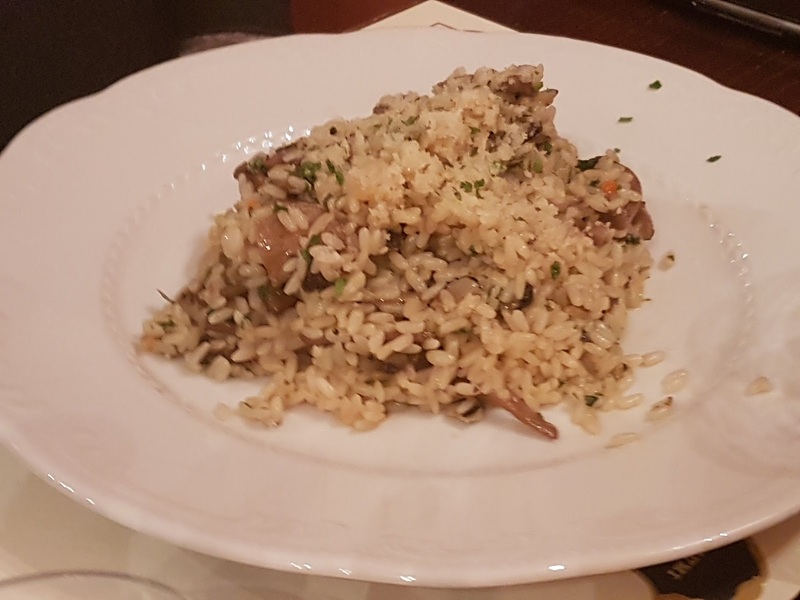 Fabio ordered the Risotto ai Funghi, a large pile of arborio rice which had been slowly stirred, mixing it with the fresh porcini mushrooms, white wine, chicken or vegetable stock, herbs and spices. 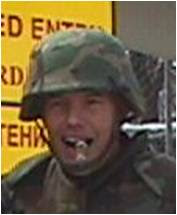 I did not taste it and Fabio said that it was good, but said that "we could do as well if not better". 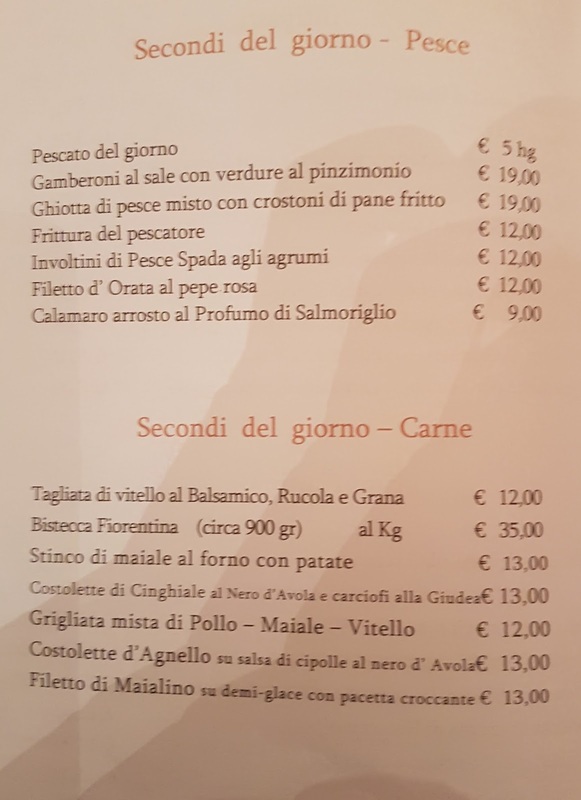 Italians in general and Sicilians in particular take their meals very seriously and are proud, good cooks, so I was not surprised by his comment. 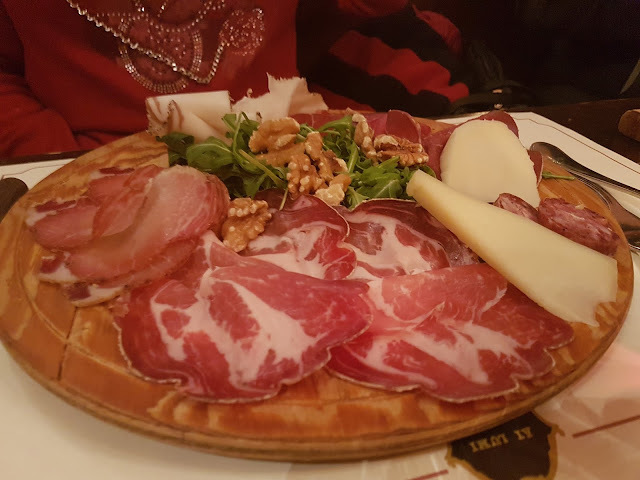 He savored every bite and cleaned his plate, so it was obviously good. 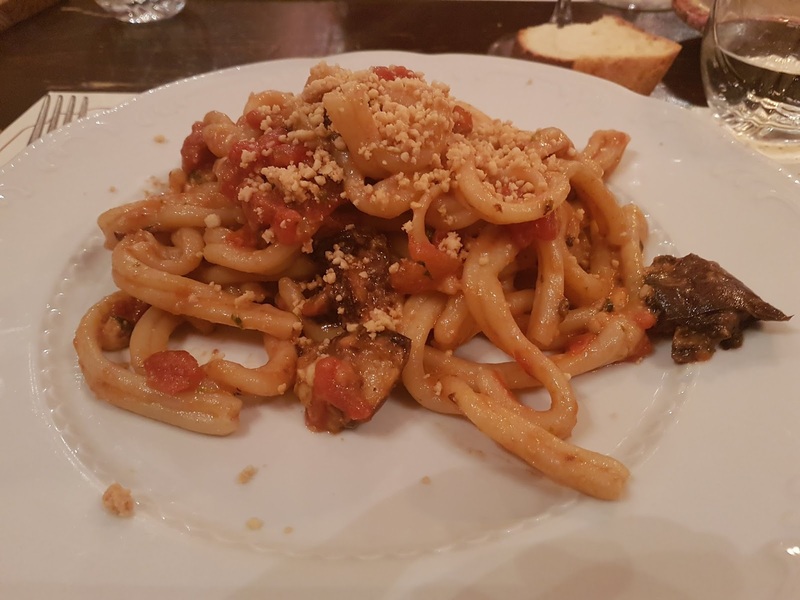 I went local with the Caserecce al Pesto Trapanese, a handmade double-strand pasta about two inches long, rolled and twisted into an S-shape (not Busiate, another traditional Trapanese pasta that looks like an old-style spiral telephone cord), then tossed in a local pesto sauce made with crushed, fresh tomato, basil, almonds, garlic and EVO, then mixed with slices of grilled, sauteed eggplant and topped with toasted breadcrumbs and grated pecorino cheese. It was absolutely delicious as served, not needing any added grated cheese, salt or pepper like many restaurants you may go to. 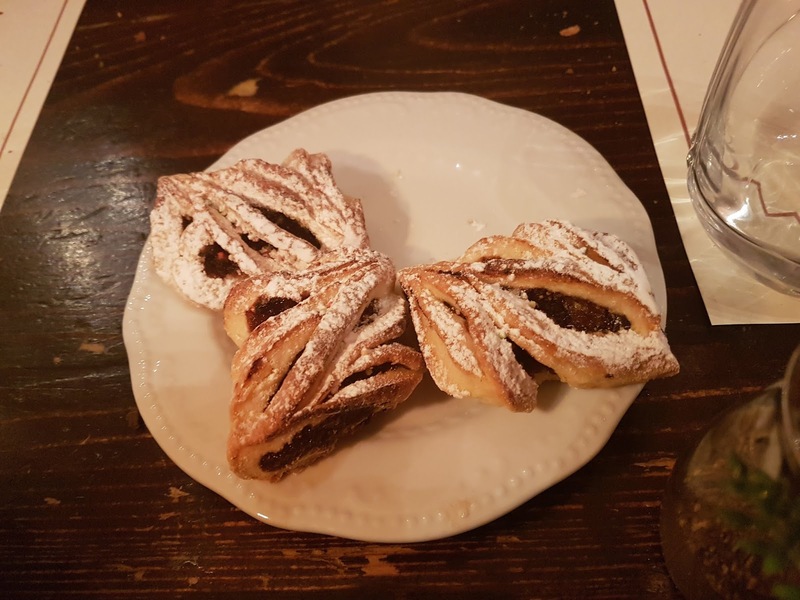 Then it was time for dessert. 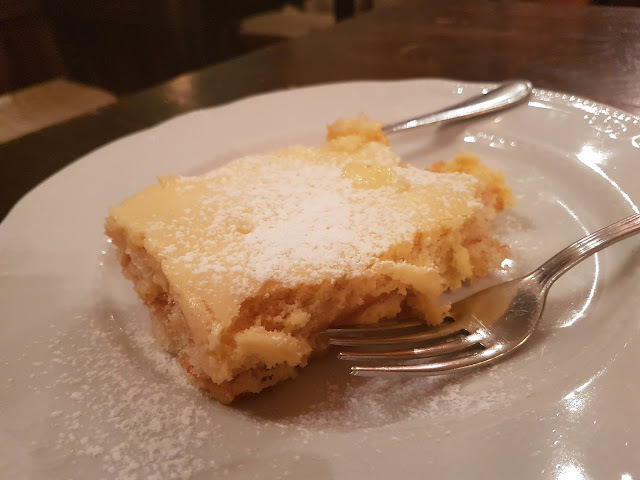 The Tiramisu al Limone (€5 - lemon tiramisu) sounded delightful, so my wife and I, being stuffed to the gills after a great meal and a week with Sicilian relatives ("mangia, mangia"), shared a generous slice. It was creamy, sweet, light and a perfect ending to a wonderful meal. 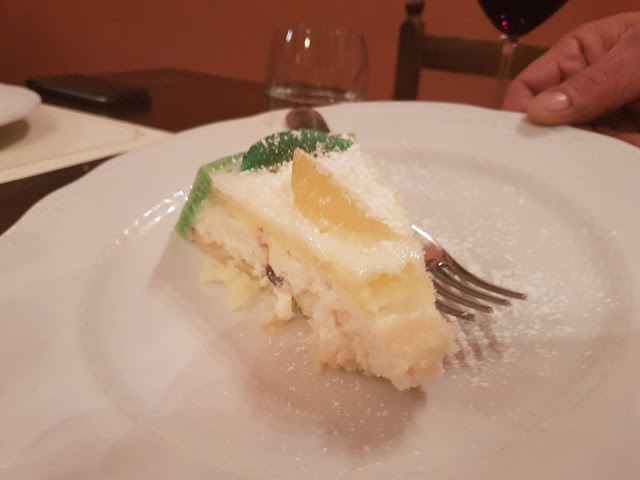 Our cousins had the Cassata Siciliana (€5), a type of pie-looking cake (pie does not exist in Italy, the closest thing being "crostata") made with sponge cake, sweet ricotta cheese, and fruit. 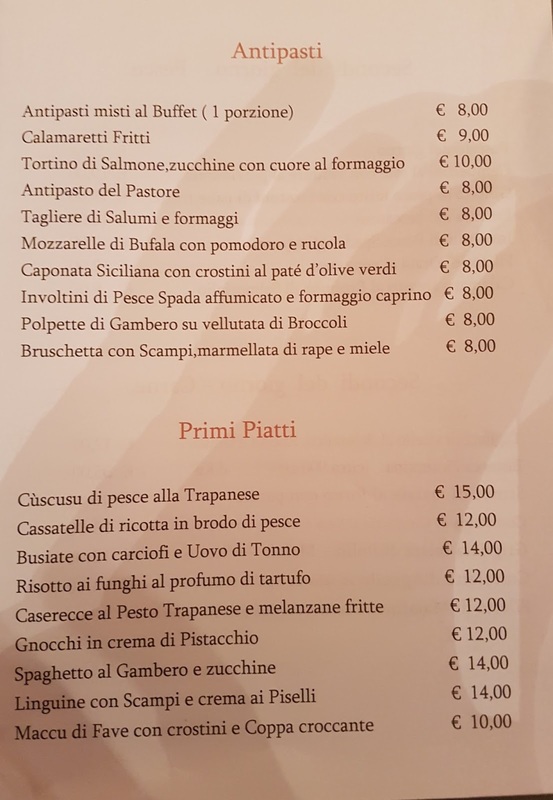 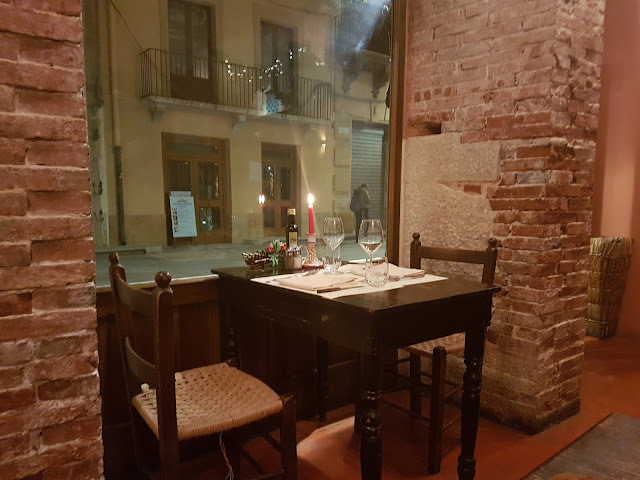 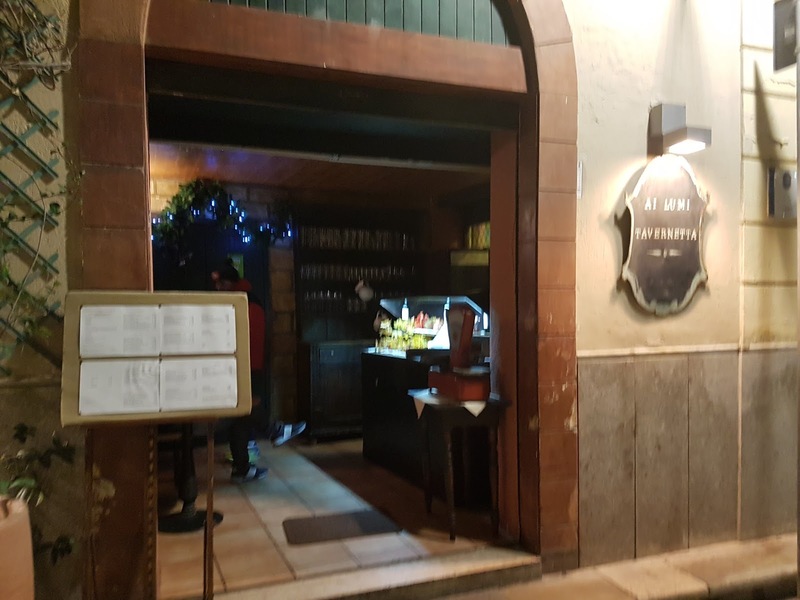 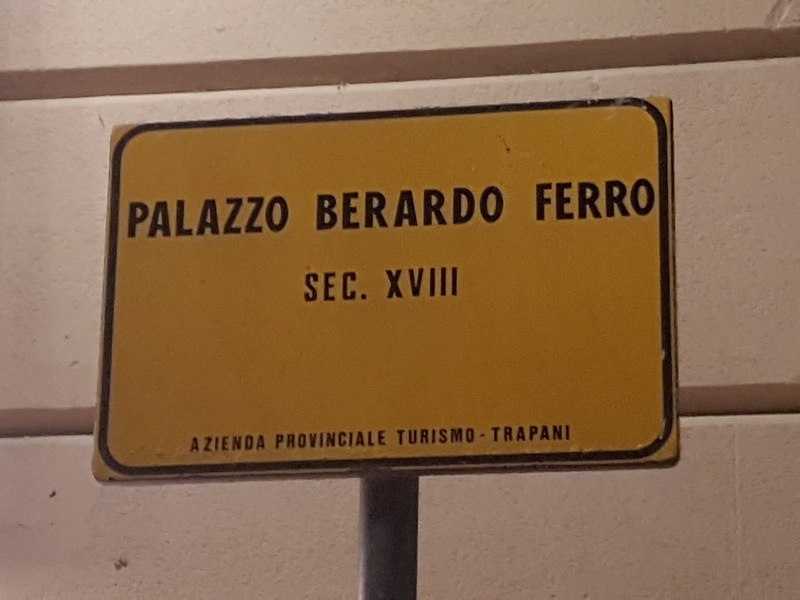 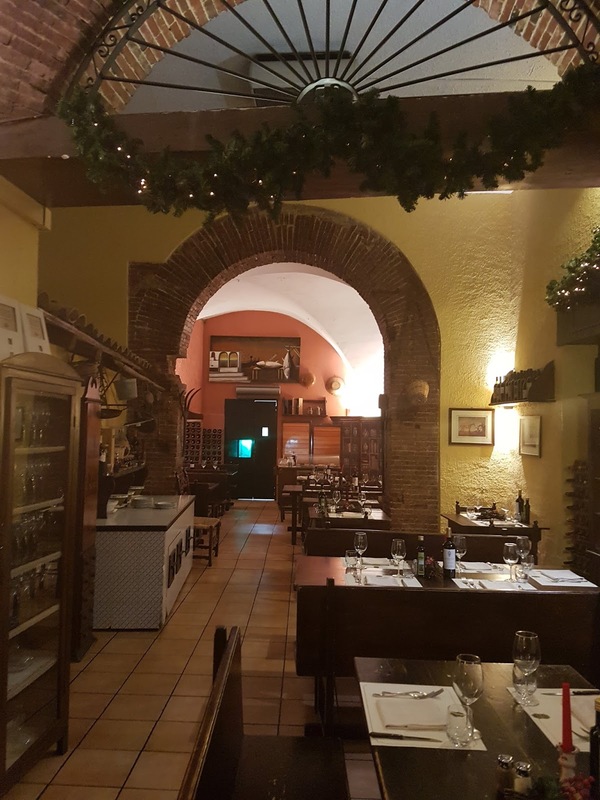 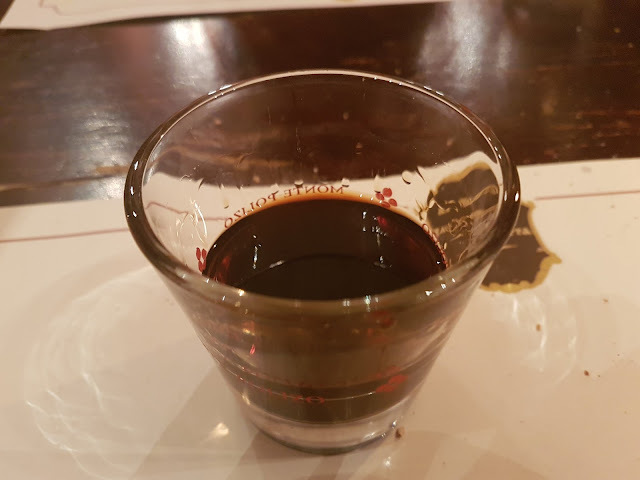 As I said, the bill came to just €150 (before tip) for four people with three courses each (antipasto, primo and dessert), digestivi (amaro and limoncello), caffe, water, and two bottles of Nero d' Avola for an extremely reasonable total of €37.50 each. 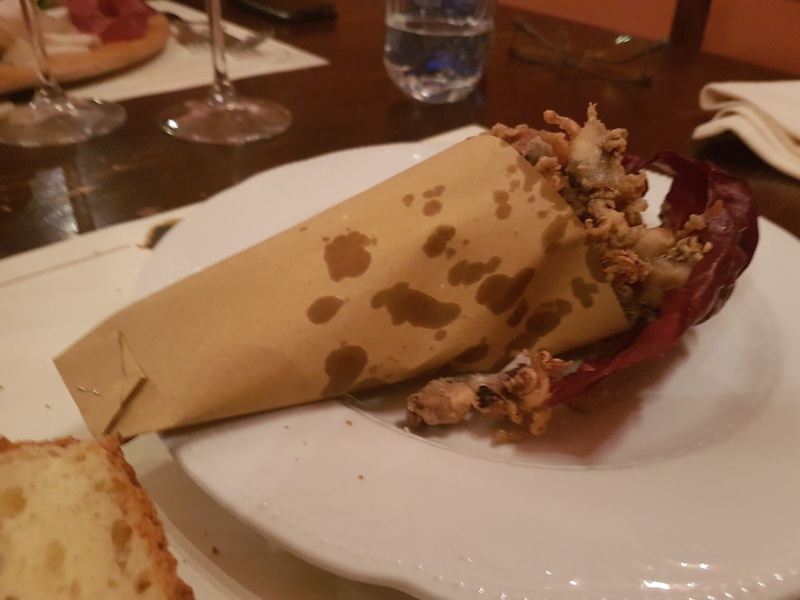 You will find few, if any, Michelin Guide restaurants where you will pay this little for such an excellent comparable meal, making Ai Lumi a definite TravelValue if visiting Trapani or Northwestern Sicily. 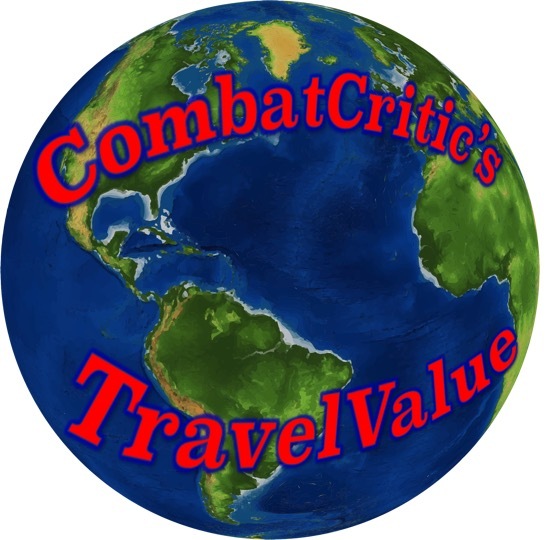 CombatCritic Gives Ai Lumi 9 Bombs Out Of 10 ... More Bombs Are Better!